A Maine man accused of going on a July shooting spree, in which five people were shot and two were killed, has been arraigned in Penobscot County on some of the charges. Police say Anthony Lord is facing charges of intentional or knowing murder and aggravated assault with a firearm, among other charges, according to necn affiliate WCSH. These are the charges for the crimes which occurred in Penobscot County. The other crimes, including one of the murders, occurred in Aroostook County, which has not indicted Lord yet. Police say Lord first shot Kevin Tozier, 58, and Clayton McCarthy, 54, in Lee. Tozier died from his injuries. Police say Lord then stole a truck, drove to Benedicta and shot Kyle Hewitt, Kim Irish and Carlton Eddy. Hewitt died from his wounds. 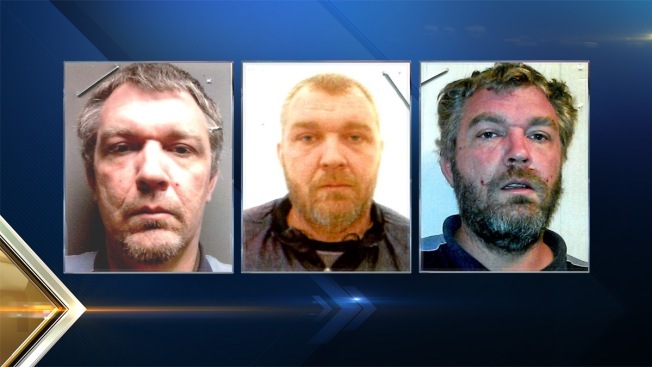 Lord allegedly kidnapped Brittany Irish, Hewitt's girlfriend, and drove her to Houlton, where he was apprehended. The charges based in Aroostook County will be presented in September.